Reinhold Messner calls Steve House the best high altitude climber in the world today, an honour he declines; he says it makes him very uncomfortable. Despite his modestly he is a very accomplished climber having made many impressive first ascents in the Alps, Canada, Alaska, the Karakorum and the Himalayas in pure ‘alpine style’. 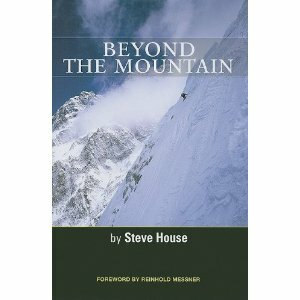 His new book is a gripping read destined to become a mountain classic; it addresses many issues common to non-climbing life - trust, failure, goal-setting, heroes, partnerships - as well as the mountaineer’s heightened experience of risk and the death of friends (winner of the 2009 Boardman / Tasker Prize for Mountaineering Literature).